This could be a big step in any relationship. Once in a while, we present Adulting.tv LIVE! Stay tuned to hear about future events, and share your questions about or suggestions for our next discussions! Adulting.tv LIVE! 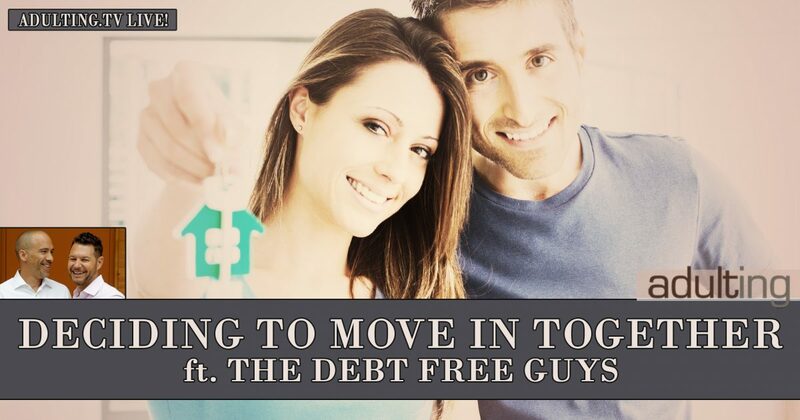 welcomes special guests David Auten and John Schneider from Debt Free Guys. David, John, Harlan, and Miranda discuss what it takes to tell when a couple may want to begin cohabitation. Living together can be a big decision and a major step forward with a relationship. How do you know when the time is right to move in together? Watch the video above, or listen to just the audio by using the player below.